This is a 1943 Texas Ocelot illustration by Walter A. Weber! The size of the illustration is approximately 6.5x10inches. 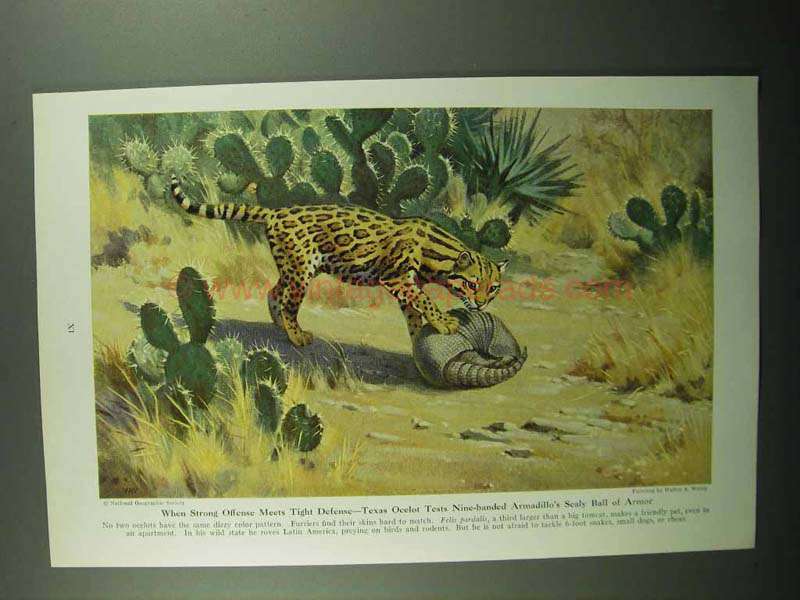 The caption for this illustration is 'When strong offense meets tight defense - Texas Ocelot tests nine-banded armiadillo's scaly ball of armor' The illustration is in great condition. This vintage illustration would look great framed and displayed! Add it to your collection today!